The project of a tidal plant in Bécancour could be saved. A company of San Francisco made a financial commitment to the Superior Court of Quebec to finance the project. 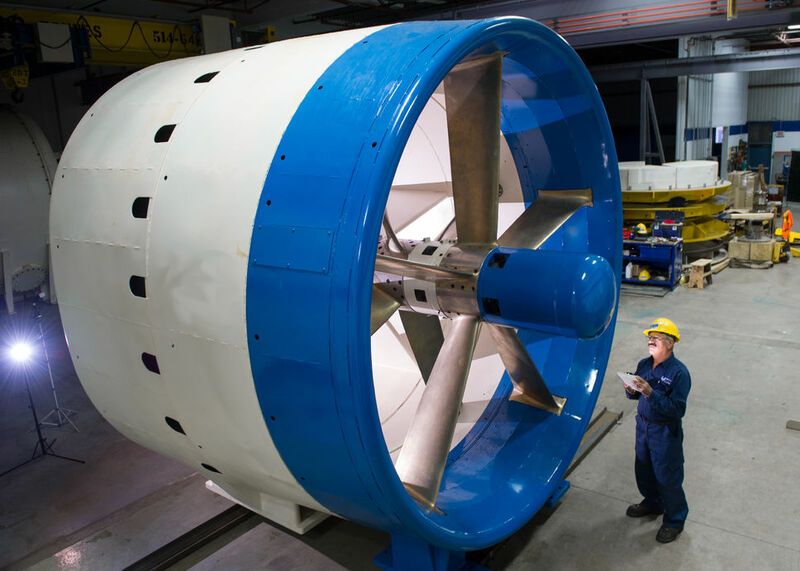 December 2014: The construction of a production plant in Bécancour turbines at the beginning of next year is still possible. The financial package has been completely redesigned in recent weeks and is now subject to 100% private investment, from the Castlegate Capital Advisors LLC company. So this is a new company that would take over the project, in which the interests of RSP Hydro are a minority. In an email exchange with The Journal has obtained a copy, we read that the only missing element to confirm the revival of the project of the factory worth $ 130 million is the connection to the Hydro-Québec. “At this point, the only element in our recovery plan, expected by the Superior Court on or before January 15, 2015, is the confirmation by the Government of Quebec / Hydro-Québec connecting the small network technology showcase distribution of electricity to Hydro-Québec , on terms and conditions that reflect the market rate of renewable energy. A meeting is being sought with the Minister of Energy and Natural Resources Pierre Arcand to introduce the new financing package. It is currently anticipated that the leaders of Castlegate Capital LLC are Adivsors Quebec from Monday to Wednesday next week. RSP Hydro had to place themselves under the Companies Creditors Arrangement Act ( CCAA) last summer after Investissement Québec has withdrew its ball on the project, $ 10 million in investments and a loan of up to $ 75 million. Castlegate Capital Advisors offers private investment and operational expertise for businesses in transition. We provide advisory, management, and turnaround services to help businesses surmount complex financial and operational challenges. In select circumstances, we provide capital for small and lower-middle market companies. © 2014 Castlegate Capital Advisors LLC. All Rights Reserved.